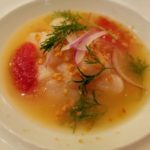 To be honest, we had to look up Tutka Bay on the map. FYI: it’s in Alaska. That said, it was with pleasure that we did so. 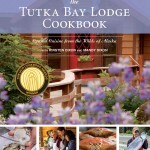 For when “The Tutka Bay Lodge Cookbook” came across our desk and we started flipping through the pages of this wonderful tome, we knew that not only did we want to know more about it, but we also needed to find a way to get its authors, the mother/daughter culinary team of Kirsten and Mandy Dixon, on our show.